Cannabis has a long and complicated history in the areas of the world where Islam is the predominant religion of Muslim people. Islamic regions cover vast areas of Africa, Asia, and Europe, and there is a lot of ambiguity about the use of cannabis in those sections of the world. In many ways, cannabis and Islam is similar to cannabis and some other world religions. There is no official position or policy outside of documented comments made by religious leaders. Cannabis policy among Muslim people is a bit murky, and cannabis use seems to slip between the cracks. Although the Quran does not specifically forbid the use of cannabis, historically, many religious scholars maintain that marijuana is an intoxicant and thereby forbidden. Despite this dictum, cannabis is widely used in many areas of the Islamic world. Modern Islamic practices have a slightly different take on the plant. In a similar manner as some other major religions, there are some modern Islamic leaders who proclaim that cannabis use for medical purposes is allowed, but recreational use is still forbidden. The use of marijuana is somewhat controversial among some Islamic worshipers because neither the Quran nor the prophet Mohammed directly addresses it. Since the Islamic regions of the world are largely the regions known for centuries of hashish production, that is the form of marijuana that remains the subject of controversy. Indeed, the growing of cannabis and subsequent creation of hashish (aka “hash” for short) is so commonplace that it’s a pervasive and undeniable part of the culture of Muslim people in many of their world regions. Use of the plant is permissive, which has led to a long history or massive production. Strongholds of Muslim culture include many countries that you often hear the names of in reference to high-quality hashish—places like Morocco, Afghanistan and Turkey. Imported hashish was smuggled into America much more often in the 1970s and 80s on a more massive scale than today. The high potency and purity of this hash created a ready market, and many Americans became fond of smoking it. The popularity of hashish in Turkey and the seemingly insatiable market for it in America resulted in the highly successful 1978 film Midnight Express. The film recounts the real-life experience of American student Billy Hayes, who was caught trying to smuggle hash out of Turkey and was sent to a Turkish prison for his crime. Upon his eventual release and return to America, Hayes wrote a book about the atrocities he experienced while imprisoned in Turkey. His chilling account was enough for Oliver Stone to adapt a screenplay from the book. The production of hashish in Islamic countries results in the outstanding old-world hash created by hand rather than the ice-water techniques commonly employed in America today. The American hash is generally inferior to the foreign imports. Old world extraction results in a potent and fragrant form of hashish that is usually formed into slabs or balls. The hash imported during past decades generally fell into three color categories: blonde, red, and black. Occasionally, slabs that arrived in the United States carried interesting stamps with Arabic writing—clear evidence of its foreign origin. While Americans enjoy smoking hash all by itself or as a “bowl topper” on cannabis flower, people in other regions of the world most often smoke it mixed with tobacco. While this may seem odd to Americans, it’s not terribly different from smoking a blunt, which contain cannabis contained in a tobacco-leaf wrapper. The production of this hashish is common to a handful of specific countries. Let’s examine the individual countries that are sources of Islamic hashish in greater detail. The North African country of Morocco has a long history of hash production. Most of the Moroccan cannabis crops occurs in the northern region of the country, and the introduction of the plant to the region most likely occurred during the Arab Invasion between the fifth and 17th centuries. The introduction of cannabis coincided with the introduction of the Muslim faith to the pagan people who resided there. By the late 19th century, the Rif Mountains of the northern region of the country had established itself as a cannabis—and the subsequent hashish made from it—stronghold. The dry-sift method of creating this hash is still in practice today and enjoyed in areas of Europe where the hash is imported to this day. Modern versions of Moroccan hash sometimes have a sticky consistency that’s due to the potent cannabis used to produce it, often imported into Morocco from the Netherlands and the United States. 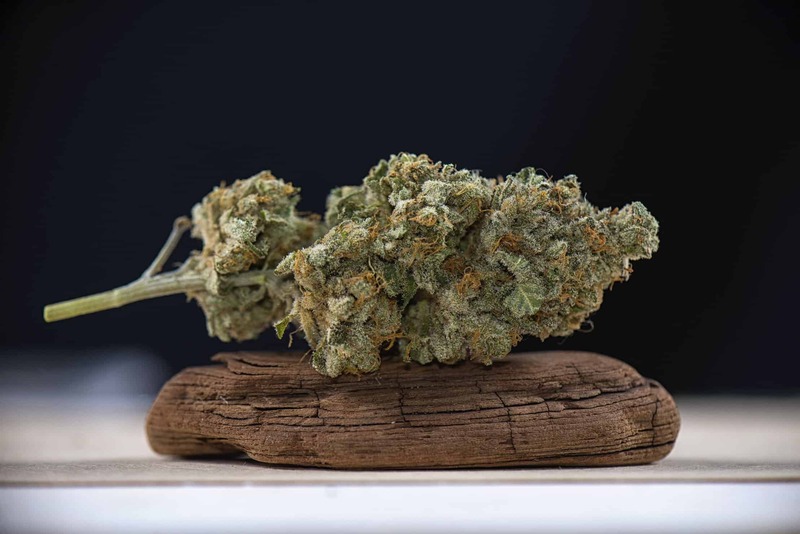 This sticky hash, often containing sativa and hybrid genetics, has a decidedly different consistency and texture from the traditional dry-sift Moroccan hash sourced from cannabis plants that originated in Pakistan and Afghanistan. Although you may not have heard of Iranian hash, it’s every bit as good as similar product from other Middle Eastern countries. Although cannabis is technically illegal in Iran, its use is pervasive in Iranian society and is said to be increasing. The region’s history with hashish goes back more than a thousand years. Indeed, the Scythian people from Iran as far back as 700 BC were known for recreational cannabis use. Many centuries later, bans were imposed for so-called nefarious activities like alcohol and cannabis consumption and gambling. The use of cannabis in Iran and the creation of hashish is largely due to the fact that cannabis is indigenous to the region. Despite a long history of marijuana use, punishment for drug crimes can be severe, and many people are executed for drug use each year. As recently as 1989, the Iranian government put laws into effect with death penalties for those caught possessing quantities of hash in excess of five kilograms. A mecca for cannabis if there ever was one, Afghanistan is the source of some of the world’s finest hashish. Hashish has a rich history in the country, with mass production occurring for many centuries. In 2010, the production of hashish in Afghanistan was estimated at between 1,500 and 3,500 tons per year, with much of it exported to other countries. Cannabis production continues to be huge in at least half of the Afghanistan provinces. Although other countries of the world grow more cannabis than Afghanistan, the country reigns supreme for hash production. Estimates of the Afghanistan cannabis production rank the growing areas at 10,000 to 24,000 hectares per year, although the monetary worth of cannabis and hashish is only a small fraction of the value of opium production. Much of Afghanistan’s hashish is eventually smuggled into Pakistan and Iran, two other countries known for its production. There is evidence of cannabis production in Turkey that dates back to 1,000 BC. The production and use of hashish was particularly prevalent in the country in the 16th century during the Ottoman Empire. The country remains notorious for its production and consumption of hash until the present day. In Islamic culture, it ranks among the highest hash-producing countries in the region, second only to pe Afghanistan. Turkish drug enforcement authorities continue to seize large qualities of hashish on a regular basis. As recently as late December of 2018, Turkish authorities made the largest hash bust ever, seizing 1.5 tons of the cannabis concentrate on the border to Greece. Drug trafficking in Turkey remains a huge concern for the Turkish government. In addition to hash, seizures of large quantities of heroin, methamphetamine, and cocaine continue to occur. The use of cannabis and hashish has a long history in Islamic culture and remains entrenched in Muslim society to the present day. A long history of use and inconsistencies with drug enforcement contribute to its modern use in several Islamic countries. Although the presence of foreign hash is not nearly as common in America today as in decades past, hash production and use in countries like Morocco, Afghanistan, and Turkey remains alive and well.